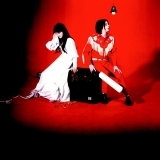 "Make sure the fortune that you seek, Is the fortune you need"
Elephant is ranked as the best album by The White Stripes. Members who like this album also like: Kid A by Radiohead, In Rainbows by Radiohead and Funeral by Arcade Fire. The tracks on this album have an average rating of 84 out of 100 (all tracks have been rated). Related links: top tracks by The White Stripestop tracks of the 2000s, top tracks of 2003. Showing latest 5 ratings for this album. | Show all 1,816 ratings for this album. Related links: top albums of the 2000s, top albums of 2003. One of those albums that makes me wish I'd learned to play guitar. Sounds like Jack had one hell of a time putting this together. I hate to be the guy who isn't super enthusiastic about an album that is so unanimously praised - and this is good music, but it's not even the best of this year let alone a top 10 for this decade. There are some good songs here even though I cannot stand seven nation army. Jack is talented and well studied. I keep revisiting this every couple years thinking at some point it will click and I'll have an "aha" moment but haven't yet. To me the throwback sound, while interesting, is more gimmicky than profound to my ears and there's nothing else that really compensates for that and I can't get past it being a good - not great record. Pretty good stuff, glad I finally listened to it. I need to listen to more of their albums. Elephant has a lot of surface level charm but fails to sustain itself as the album goes on. From loud guitar riffs to the cute little ditty at the end, this is a fun album to listen to. Jack White is a unique artist creating intriguing and diverse music. This is marginally the best White Stripes album.